The fear of predators in an ecosystem can have a vast impact on soil ecology, simply due to the stress they put upon their prey. 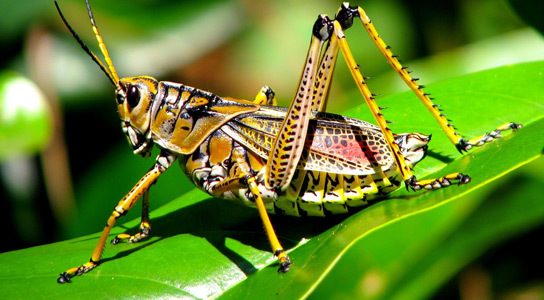 Dror Hawlena, ecologist at the Hebrew University in Jerusalem and his colleagues, showed that when stressed grasshoppers died, they impact their environment by the chemical differences in their bodies, affecting how the surrounding dead plant material is broken down by soil microbes. The scientists published their findings in the journal Science, and were interested in organism ecology and biogeochemistry. This allowed them to make predictions about how food web structure affects nutrient cycling. Other studies have shown the impact of stress on animals, which will eat more carbohydrates to meet their heightened energy requirements. This in turn leaves a chemical trace in the bodies of the stressed animals. The nitrogen-poor corpses affect the metabolism of soil microbes, causing bacteria that require nitrogen to falter in the production of their decomposing enzymes. Hawlena and his team reared grasshoppers in field cages with predatory spiders that had their mouths glued shut. When the grasshoppers died, the remains were examined in a lab. The samples were then added to leaf litter to see how quickly plant material would decompose by soil microbes. The overall indirect effect of this predatory stress on soil microbes is lasting, and the rate of decomposition was 200% less than in samples treated with non-stressed grasshoppers. Predators actually affect soil microbe communities and the cycling of nutrients in more ways than just eating their prey. The effects of this cascade isn’t immediately obvious, but this paper is added to the growing number of studies that detail the knock-off effects that predation has on organisms in an ecosystem, including soil fertility, plant growth and nutrition. 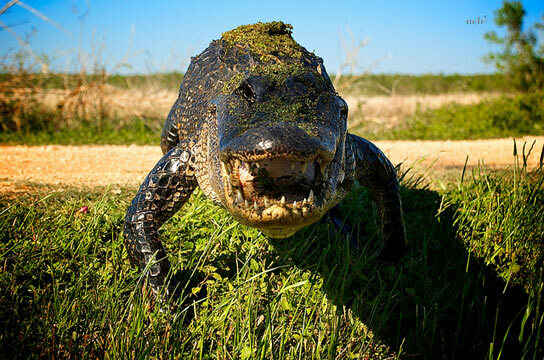 It’s also hard to speculate how losing apex-level predators will affect soil ecology and biodiversity globally, but predators have a dramatic effect on the biogeochemical processes in ecosystems. 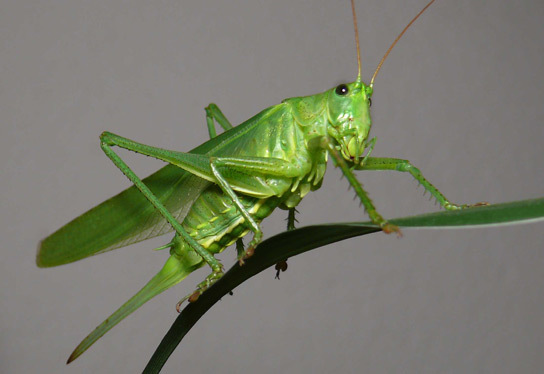 Be the first to comment on "Fear of Predators in Grasshoppers Slows Plant Decay in Ecosystem"